The owner of the Grand Hotel in Wicklow town, which will become a direct provision centre for asylum seekers, says the hotel 'broke his heart' and wasn't supported by the community now lamenting its loss as a focal point for tourism. Adrian Shanagher (49) said he has facilitated hotel- related investments for years, bringing sites and investors together. He was involved in the purchase of well-known hotels for the owners and making them a success, he said. The Grand Hotel's popularity had fallen over several years before he bought it last year. "The Grand... is the one that broke my heart because it didn't have the support," he said. He said he celebrated his own wedding reception in the hotel in 1996, a year in which it had 100 weddings. "We had one wedding last year and one wedding this year," he said. "It is disingenuous for people to say the town is losing its hotel. The people weren't supporting it anyhow," he said. As the only hotel in Wicklow Town, it used to be a thriving hub for many years. But in nine days' time, it will become a direct provision centre and many townspeople are not happy with the plan. People working to boost tourism said the lack of a hotel will thwart efforts to develop big events to attract visitors to the town. Some local people said they were wary about the arrival of 100 asylum seekers in the town. The Grand Hotel has endured a significant slump in recent years and was purchased 14 months ago by Firebreak Hospitality, a company 50pc owned by Mr Shanagher. His private business partner owns the other 50pc, he said. He told the Sunday Independent he spent €800,000 on improvements after he bought the hotel, but it failed to generate extra business. "The Grand broke my heart," he said. Signing a contract with the Department of Justice for one year was "a survival plan" for the business, he said. The news that the town's only hotel was being turned into a direct provision centre surprised locals. 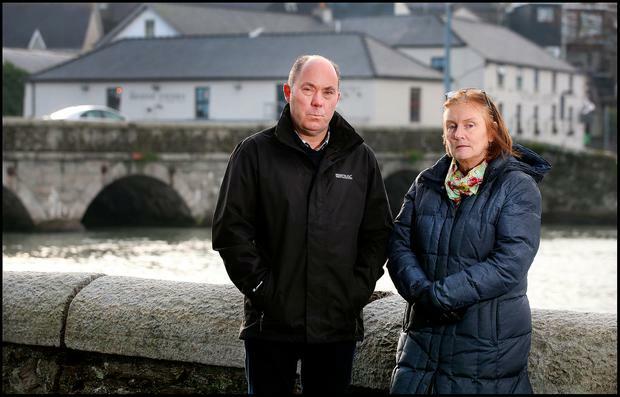 Wicklow TDs and members of Wicklow County Council met with Department of Justice officials and complained there had been no consultation locally. The politicians decided the TDs should seek a meeting with Justice Minister Charles Flanagan to try to get the plan cancelled. Around 200 people attended a public meeting in the local St Patrick's GAA club last Tuesday night, when the plan was criticised and some expressed fears about the new centre. "There's a lot of anger," said local Fianna Fail councillor Gail Dunne. "Only recently the council launched a tourism strategy and it's important there should be a hotel in the town. This could be the death knell for tourism," he said. He claimed 100 asylum seekers were too many people for a town of 10,000 "to absorb" into its schools and health services. There was also criticism of the direct provision system as "a broken model" that is not suitable for long-term accommodation for families. Mick Nolan is chairperson of Wicklow Syria Appeal, a group which inspired the community last April to help provide a local home and friendly support for a Syrian refugee family. There was widespread fundraising in the town and many people volunteered their services. Restrictive living conditions in direct provision has a detrimental effect on residents. The community sponsorship model developed by his group was more humane, he said. Patricia Hynes, who owns a five-bedroom bed and breakfast in the town, told the Sunday Independent the "parachuting" of the centre into the town without advance notice was "anti-democratic". She is a member of the Wicklow Town Team which was set up to boost economic development locally and she is active on the team's tourism sub-committee. Action has begun to enhance the town's tourism appeal with funding achieved for floodlighting several town attractions. A new bus service between the town and Glendalough has been organised. "The Grand Hotel was a tourism hub for many years and I used to get calls from the hotel sending their overflow to me for bed and breakfast," she said. The town was twinned with the French town of Montigny-le-Bretonneux. The French town's choir planned to visit Wicklow next June and would have stayed in the Grand Hotel's 32 bedrooms but that cannot happen now, she said. People who were deeply committed to developing the town's tourism potential were dismayed and deeply concerned that the town will have no hotel. A majority of people who attended the public meeting last Tuesday did not support a small number of negative comments made about asylum seekers. Kit Dunne, a local man who runs a boat charter business for anglers and nature lovers, said he booked bed nights at the Grand Hotel for hundreds of his customers in recent years and he often got business from the hotel. He said the Bridge Tavern in the town did a big renovation and expansion in recent times and it can now take more than 30 overnight guests. In the last couple of years, he booked considerable numbers of his customers into the Bridge Tavern as well as the Grand Hotel. All the businesses that cater for tourists in the town will suffer with the closure of the hotel's bed night business, he said. The Round Ireland Yacht Race begins in Wicklow every two years and every bed in the town is full on such occasions. "There can be a big demand for bed nights in Wicklow. I've had to send some of my customers to hotels in Bray," he said. But owner Mr Shanagher hit back at criticism and said the townspeople failed to give him enough business since he bought the hotel in 2017. "My duty is to my business and to my stakeholders and not to other businesses in the town," he said. "I'm not here to keep them afloat." He said around half of the hotel's 45 staff were quitting their jobs, many of them part-time. He expected to have around 20 full-time staff operating the property. The hotel had a 57pc occupancy rate and much of the bed night business was from tour groups he brought to the hotel. He said other places in Co Wicklow were tourist spots but not the town itself. Its biggest attraction is the old Wicklow Gaol which is a 'day visitor' enterprise. He felt frustrated because of "the depths of retaliation" in the local community. He said he has received many nasty emails and personal attacks and even "people threatening to visit my home". He believed that racism and bigotry were behind some of the nastier criticisms. "My bar business, my bar food business, my ballroom business and club business were envisaged to continue. In the last 10 days, practically all that has cancelled," he said. He said 400 new houses were being built on a hill beside the town which will house up to 1,500 new people, which will put far more pressure on local schools and services than 100 asylum-seekers. The 12-month contract with the Department of Justice was capable of being renewed and it could remain a centre for a few years, he said. "I already have 24 people in my hotel who are guests of the Department and they are lovely people. "They are fleeing situations in their own countries. They are good people from Sudan, Syria and Pakistan," he said. Some clergy and local people have begun "to reach out". He believed accommodating asylum-seekers was a good thing to do for humanity and he was happy to be involved in it. "I'll sleep just fine in relation to it," he said.